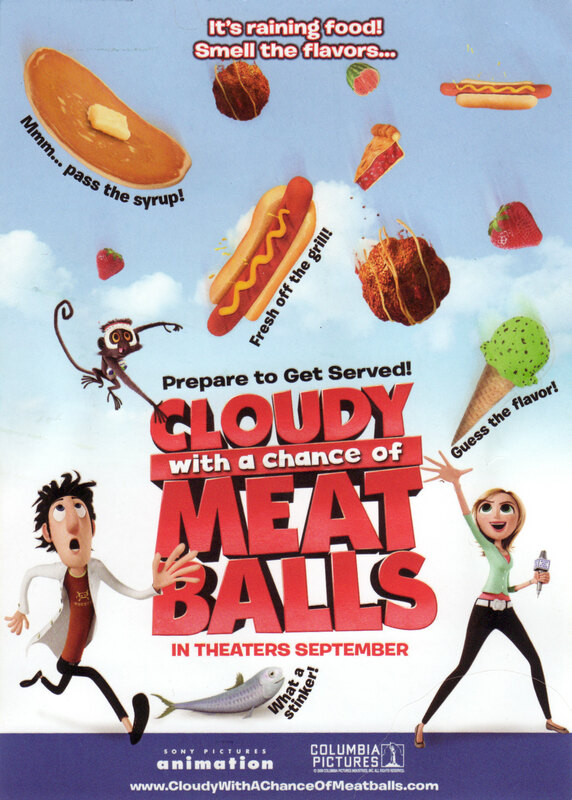 Brief Synopsis – When a young scientist’s experiment goes haywire, he inadvertently causes food to rain down constantly on his little town making himself and his town world famous. My Take on it – I had absolutely no desire to see this movie for years. I actually avoided it like the plague because the premise just seemed crazy to me. This week, I came home early from work one day, so I suggested to the kids that we watch a movie of their choice. They wanted to watch the sequel to this, but since none of us had seen the first one, I vetoed that and we all sat down to watch this. I had never been exposed to the children’s book that this is based on, so I had no clue as to what to expect. I must say tho, that I was pleasantly surprised at the characters, the storyline and the visuals presented here. Animated movies can show us things that most real movies need to explain more realistically or show us using state of the art special effects. This isn’t necessary in animation, because as the saying goes, seeing is believing. The details used to have the food rain down on the town looked so tasty (that’s the point I guess) and when the town gets covered by Ice Cream, it really made me feel like I was really viewing such a spectacle. Most of the voice talent used for this are famous actors, but their voices aren’t necessarily immediately recognizable so it didn’t interfere with the viewing experience. The one voice that was impossible not to miss, was that of Mr. T. who voiced the cop, Earl. We all enjoyed it and as always with my kids they loved the slapstick scenes the best. I’m very curious to see what the second one is about, so hopefully, the kids and I will find some time soon to catch that one too. Bottom Line – Fun movie for the whole family. The images of the food falling from the sky is done really well. The best is the ice cream scene. Recommended! It was a cute movie, glad I saw it on Netflix and not in the theater, though I may have sprung for that if my son had been younger when it came out. The food coming from the sky scenes would have been fun on a big screen for him, I think.